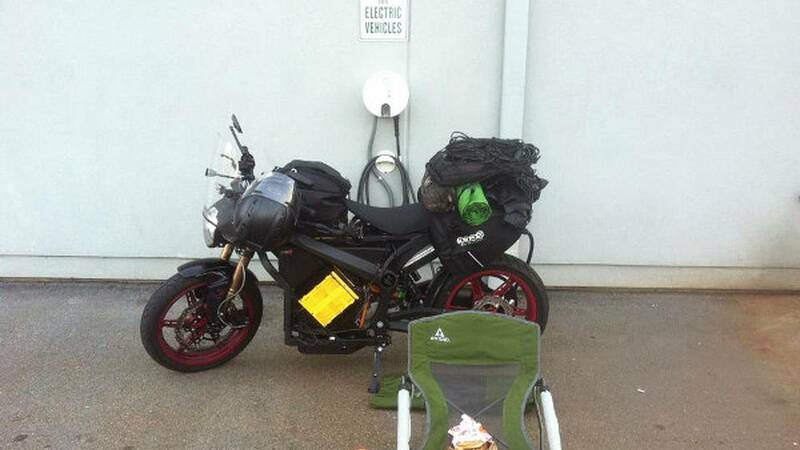 Can electric motorcycles really serve as practical transportation, even on cross-country trips? Terry Hershner thinks so. 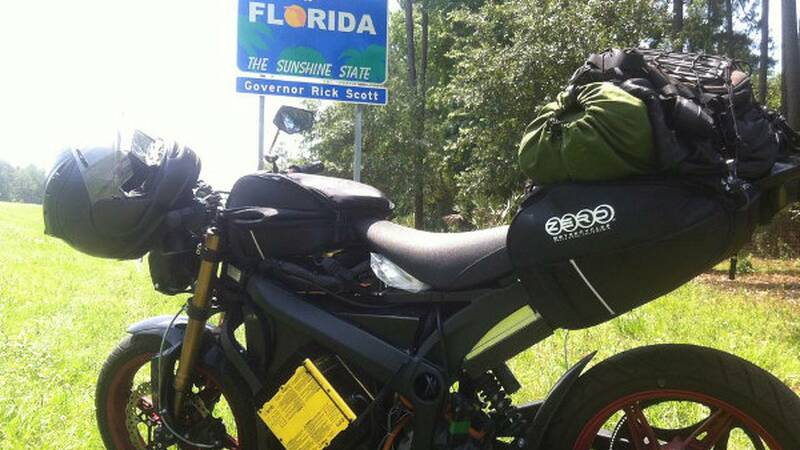 He's put over 20,000 miles on his Zero S, including riding it from Florida to California and back. Terry has been riding since he was in college because "parking was a pain with a car, so I bought a motorcycle to park easier." He's had a whole slew of motorcycles, including a Yamaha R1. He did this for the next five to ten years, then discovered alternative energy. 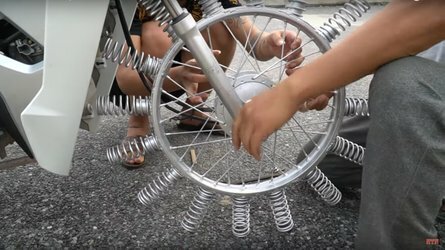 After having "been into alternative energy for a while, converting older vehicles to run on vegetable oil" he got into the idea of having an electric bike. The Zero S was introduced in 2009, and now has an electric motor that puts out 54 horsepower and 68 foot pounds of torque and can get up to 95 miles an hour. It has a 137 mile range and can be charged to full in 8 hours. Instant torque is provided as soon as you twist the throttle. 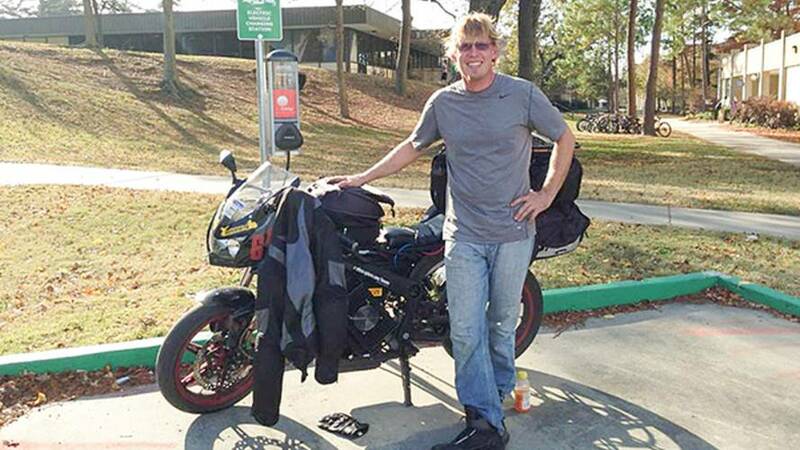 Terry started riding electric motorcycles due to his interest in alternative energy vehicles while he was in college. 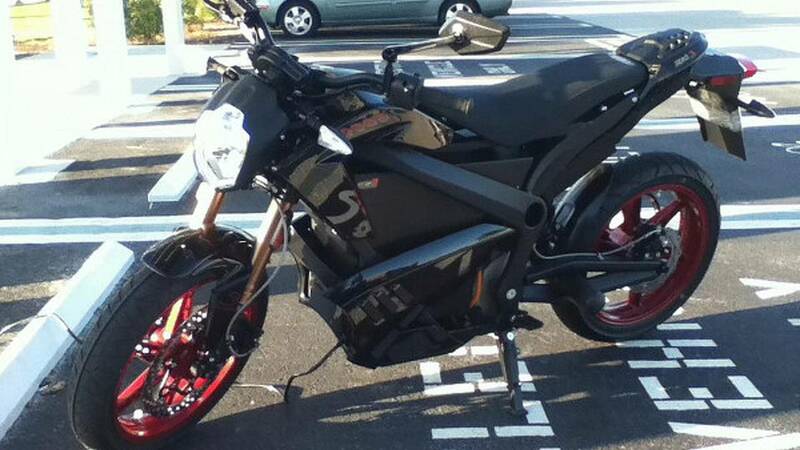 He started to have a hobby for electric motorcycles and decided to give the Zero S a try. 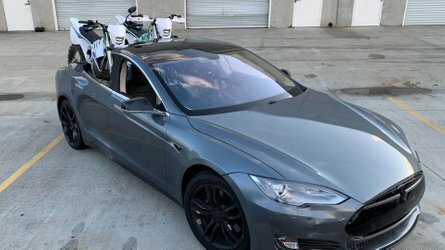 He was taken by the "infinite mpg versus 30mpg" and calculated that the bike would pay for itself in a couple years, even at its greater upfront cost. 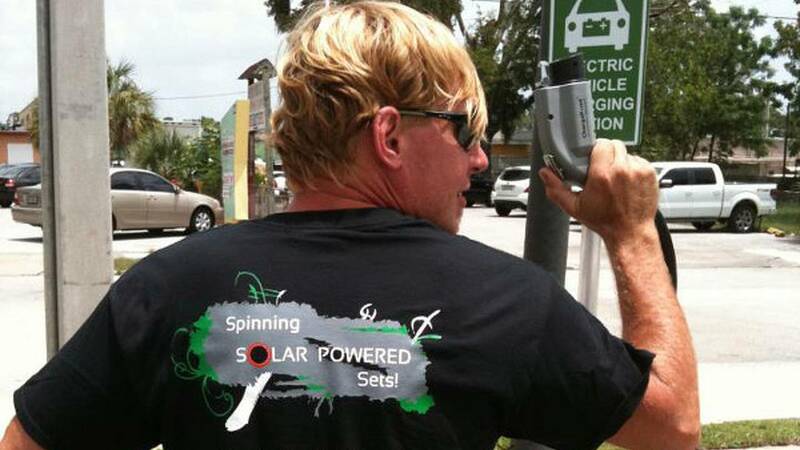 He purchased the bike and used the extra power from his wind and solar-powered house to charge the bike. "I don't miss the R1 because the Zero has max power and torque between 10mph and 70mph and maxes out at 100mph." The bike "can out do a ferrari and porsche, has no clutch, instant torque and syncs with my iPhone." 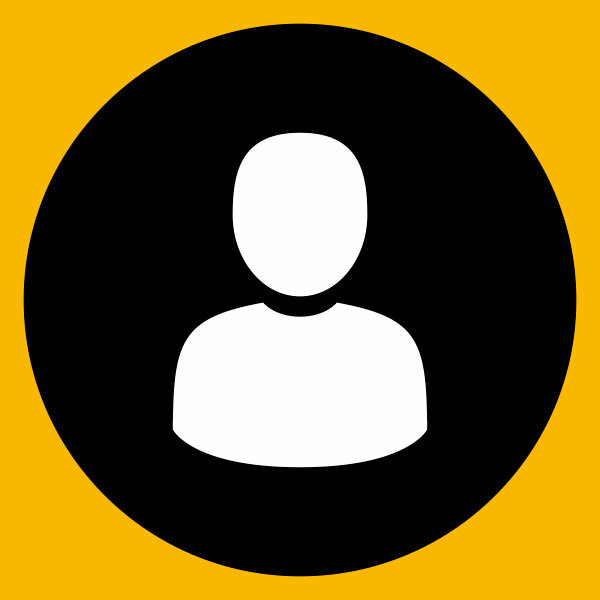 "There's a lot of beenfits to the Zero, I have a free hand to hold a coffee, use my phone because it doesn't have a clutch. It's also an electric bike, just like an electric wheelchair, so I can park it in my hotel room without any problems. The bike is very quiet and I can even hear a Prius sneaking up on me in electric mode, and there's no pipes to burn you." The Zero S in Florida. 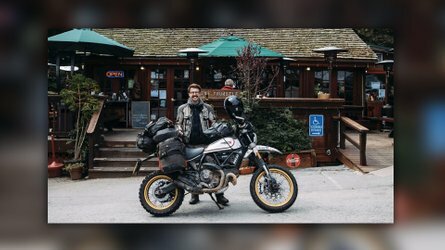 Last November, Terry rode his Zero S 3,500+ miles in 6 days "as a part of a demonstration to showcase the possibility of electric vehicles and motorcycles as cross country options for transportation." While the Zero S is designed for primarily urban use, Hershner modified his the bike to make the long distance journey. Complete with three Delta Q QuiQ chargers, two Elcon PFC 2500 chargers and a J1772 car charging port, Hershner was able to reduce charging time from eight hours to less than one hour. During the course of this adventure Hershner would alternate between 45 minutes of riding and 45 minutes of charging to complete the ride.